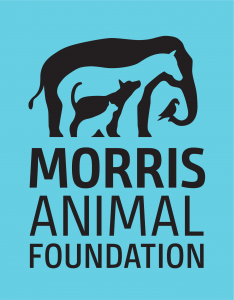 Founded in 1948 by the veterinarian Dr. Mark L. Morris Sr., the Morris Animal Foundation (MAF) works to advance the health and welfare of animals worldwide. In addition to domestic animals, MAF funds research and health care of captive and free-ranging wildlife. Wildlife Research. MAF offers several types of grants and fellowships, which vary by purpose and seniority of the applicants. Categories of grant making are large companion animals; small companion animals; and wildlife. Grants range from US$10 thousand for pilot studies to an average of US$50 thousand per year for research grants to senior investigators. There are no nationality restrictions. APPLICATION: Potential applicants consult MAF’s website for an overview of grant categories and criteria. MAF operates through calls for proposals posted at certain times of the year. Applications are submitted online. Some programs use a two-stage process to solicit pre-proposals, followed by invitations for full proposals from a selected subset of applicants. MAF publishes an annual report and financial statement. The Foundation maintains a database of its research projects.